About Us - Information about Our Ingham County Michigan wildlife removal experts. Fully licensed by the Michigan Wildlife Commission. We provide prompt and professional animal removal services to get unwanted critters out of your attic or any other part of your house or property. yMichigan has beautiful wildlife. One creature in particular is the fox! Foxes are notorious for breaking into chicken coops and stealing chickens. If you can't seem to shoo your problem fox, or any wildlife for that matter, feel free to give us a call. Our team is licensed and trained in trapping and removing Lansing wildlife. We service the following cities: Leslie, Mason, Williamston, Dansville, Stockbridge, Webberville, Edgemont Park, Fitchburg, Haslett, Holt, Okemos, East Lansing, Meridian, Delta Charter, and Delhi Charter. We also service the following counties: Shiawassee County, Livingston County, Washtenaw County, Jackson County, Eaton County, and Clinton County. My guess is that if you already have mice in your house and you want to get rid of them you would also like to think that once they're gone they can be forgotten, as in, they will not be returning, ever. The first thing you have to do is to make your house a mouse exclusion zone, you do this by first of all finding all of the places around your home where mice can get in and out and blocking most if not all of them up so no mice can use them, once you've done all that you can start the second phase of excluding the mice. The second phase of clearing your house of mice is to remove all mice that are currently in the house. The most common recommended method by professional pest controllers and animal authorities is to kill the mice in the house, you can use two main methods, they are lethal traps and poison baits. The best lethal traps are the old-fashioned snap trap, it will be lethal to mice 90% of the times it is tripped, the other 10% the mouse was too quick and got away with a nasty fright. The only other kind of trap that is recommended is a cage trap but this trap does not harm the animal so it gives you the option of either removing the animal all killing it by hand. I have to say here there is a third option that gets really mention it, that is capturing the mice alive and keeping them as pets. If you decide to use poison baits you must make sure that no pets or children can get at the bait. Most poisoned baits look deceptively like small candy to small children or to your dog or cat like dry kibble so you can understand how dangerous these things are. It is actually recommended by most local authorities that if you have either a dog or a cat and/or any children under the age of ten then you do not under any circumstances use poison baits to kill the mice. If you do use poison remember you need to be able to go around regularly and pick up the dead bodies before they start to stink, and believe me if you don't they will stink. Even if you only use the old snap trap it is recommended you check your chaps at least twice a day, this is to remove anything that caught and of course reset them but also to help prevent the spread of any diseases the mice may have had. 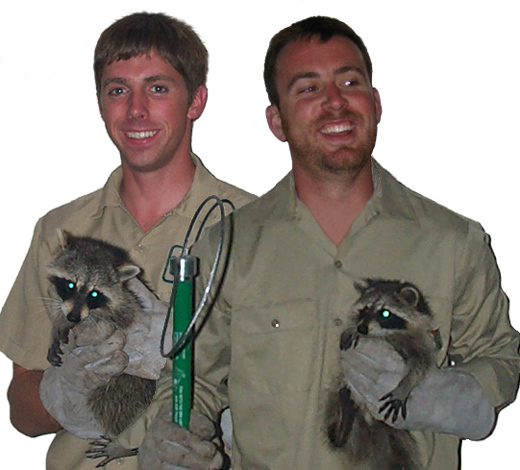 To learn more about our services, visit the Lansing wildlife removal home page.